It doesn’t look any better in the light of day I guess. While losing to the best team out there shouldn’t carry too much shame, you still feel the Hawks had a hand in their own destruction. We’ve been here for four exits, they’ve all been different. 2009 was simply not being ready and being outclassed, and that was the beginning. 2011 hurt because it was Vancouver and the Hawks were so close to pulling off that upset, but they really had no business even getting to a Game 7 and needed the Canucks to turn off for two games to do so. The Hawks wouldn’t have gone much farther that year anyway. It’s a little similar to 2012, where you definitely felt the Hawks left something out there. That was also self-inflicted, or partly, due to Crawford’s bad OT goals, a roster with holes again, and a great performance from Mike Smith. But we have to sort out the rubble, so let’s do so. The seeds of this defeat were sewn last July and August and into training camp. We’ve been saying it all year, really. It’s when Stan Bowman decided to basically stand still and watch the rest of the West try and catch him instead of maintain the distance. Handzus was re-signed, Bolland and Frolik were launched for picks (which is still probably the right move), and no new faces were brought in. Counting on career years again from so many of the players the Hawks got it from in 2013 seemed a risk. And yet, that’s ever so slightly on the harsh side for Stan. Not that he’s blameless, because he’s not. However, multiple times last summer, in interviews before, at, and after the draft and free agency, Stan repeatedly said that it was time to start filling holes with the kids in the system. That was the only way the Hawks could maintain their excellence long-term in a cap era, which is correct. And repeatedly, he highlighted Brandon Pirri leading the AHL in scoring and how he had earned his chance with the big club. The Hawks showed up at training camp (and this was before Pirri got hurt, mind), and the first thing Joel Quenneville did was install Brandon Saad at center. And he didn’t know that Saad had never played center before. I feel like we didn’t make a big deal out of this at the time, and we should have paid more attention. It spoke to a disconnection between coach and GM (again), as well as the mad-scientist nature of the head coach, whether it’s beneficial to his team or not. But the season started, and we all became blinded by the brilliance of the Hawks top end. Toews, Sharp, Kane, and Hossa were all scoring, Keith looked to be back on form, Hjalmarsson was at least as good this year as he was last and maybe better, and that’s more than enough to win a lot of hockey games in the first half of a regular season. And yet, when you looked a little deeper, there were some signs that all was not well, In 2013, the Hawks had a third line that all were on pace for a 17-20 goal season had it been a full one in Bickell-Shaw-Stalberg. They were a forechecking nightmare for teams. That wasn’t there this year, and from the off. Shaw was Shaw, but coming off knee surgery and some misuse from Q, Bickell wasn’t the same. They didn’t have a regular winger for a while. Morin came up in November for about seven games, combined really well with Saad, and then was never seen again until March. The Hawks had Frolik and Kruger on the 4th line. Fro was replaced by Ben Smith, which wasn’t much of a dropoff in the end. But when Smith was needed elsewhere, it basically became a lineup whack-a-mole game with problems popping up whenever another one was plugged. Trying to fix this, Versteeg was traded for. It’s easy to criticize now, and should be. At the time when you got over the “getting the band back together” aspect, it seemed odd that Dale Tallon–who had acquired Versteeg twice–was so ready to get rid of him that he’d eat half his salary. Versteeg was also coming off knee surgery. And really, no one thought it would end up this bad. Still, Versteeg spent most of the regular season on the top six, even when he didn’t produce. I can’t fathom that’s what Stan had in mind. He spent it on the other side of Kane and Pirri, which was an odd place for Pirri. I still wonder what Pirri would have looked like if given two-way forwards in Hossa and Sharp. 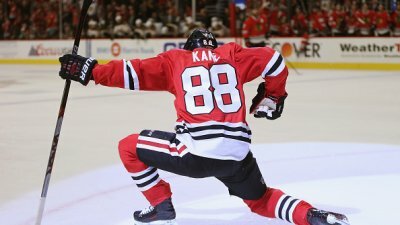 We know what Kane would have done with Toews and Saad. Was this really maximizing the roster? Or was Q setting up a kid he clearly didn’t like to fail? Sadly, the Versteeg trade handcuffed Stan when it came to the cap, and he was basically out of moves. But it wasn’t just that. Handzus, carrying an 8th d-man, Bollig, all of these contracts erased could have opened up just enough to do something at the deadline to solidify down the middle. It didn’t happen. Stan did get Peter Regin, and every time he was deployed at center (which he wasn’t always) looked effective. He had feet and brains, which is not a combination most of the bottom six could boast. I’ll grudgingly, very grudgingly, accept that maybe Morin and Nordstrom had too big of faults in their game to be trusted in the playoffs (very, very grudgingly). But the non-use of Regin is borderline criminal, and it came home to roost in this series when the Hawks were exposed for depth, especially down the middle. And yet, their stars almost pulled it out. Corey Crawford and Jonathan Toews got them out against the Blues (with some help from Kane). Crawford and Toews and Hossa did it again against Minnesota (again with some late help from Kane once he got away from Handzus). But we could see that it wasn’t the normal way the Hawks usually beat teams. They were surviving, not triumphing. The warning signs were there. 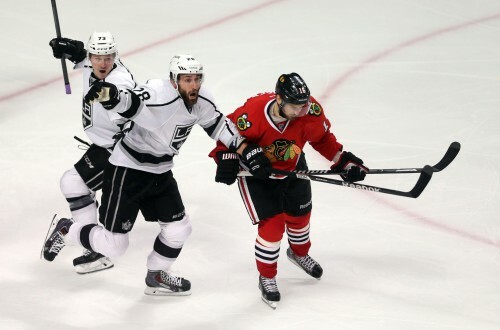 In the end, Toews simply couldn’t overcome Kopitar for seven games. The Kings top line got better as the series went along. The Hawks’ didn’t. And even though Kane and Saad nearly rescued it, it wasn’t enough. And it wasn’t enough because the Hawks decided to not have enough. Even Regin could have made a small difference in this series, and considering how close it was, a small difference may have been all that was needed. Even if it was just giving the other guys just enough rest to give them just enough additional punch. The Kings didn’t do much in the offseason either. But after blooding Toffoli last year, and Pearson this year, and making the trade for Gaborik, look at how they ate up the difference in speed to the Hawks from last year. It doesn’t take an overhaul from year to year. But it does take tweaking from within and outside the organization. So what now? A lot of it is automatic. Handzus will retire (though that won’t stop Q from playing him). Brookbank will walk. Teuvo Teravainen and Stephen Johns will be inserted immediately, which will make the Hawks deeper at forward with just that. What excites me most about Teuvo, and he won’t be Nicklas Backstrom but he could put up 45-50 points, which for a 2C on the Hawks seems like Valhalla, is that he locks things into place. It doesn’t make too much sense for Kane and Teuvo to play together, which puts Kane with Toews all season and Teuvo with Hossa. Should be a thing. There are other moves coming. The obvious and likely one is Oduya to be moved at the draft. He slowed down during the year, the Hawks need cap space, and Stan has shown a tendency to move a guy a year before his deal is up to recoup picks. It opens up a spot for Johns, though the Hawks will be replacing a transition d-man with someone who’s going to be more of a stay-at-home guy (though Johns does have offensive talent). 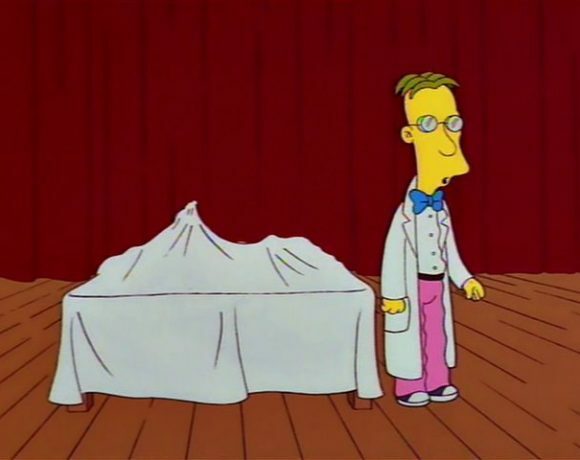 So the Hawks will have to sort out who will be their third puck-mover, a model they need. Maybe Clendening gets a look on the third pairing, but I doubt it. The real ballsy move would be to listen on Seabrook, who has put up two years of underwhelming play. But that would be a far bigger splash than Stan has ever made. The free agent market for d-men this summer is awful, and you could basically name your price if #7 were on the block. But again, don’t see it. 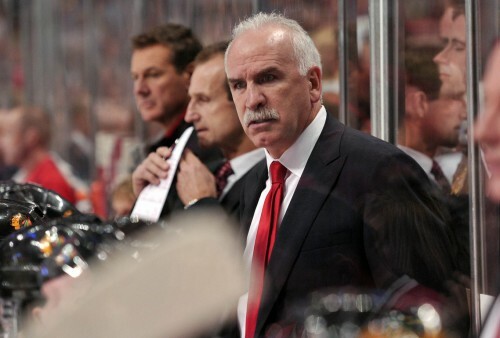 The Hawks also have to start to plan how they transition from Hossa and Sharp. Saad looks to be your Hossa replacement down the road, obviously. But those two are going to be 36 and 33 next season, and there’s only a couple seasons left when you can count on them to be some of the best players in the league. It doesn’t have to be next year, but things should start to be put in place. But mostly, the Hawks need to streamline their GM’s and coach’s relationship, because it’s just been off for years. They seem to be playing at different games, and then it seems like Stan folds to Q’s wishes. Maybe he fears a real power struggle will see Q win out with McD and Rocky, and that’s probably true. But there are other kids besides Teravainen and Johns who could contribute at points next season. I doubt Morin would ever consider re-signing, but if he did there’s one. McNeill and Danault and Ross and Nordstrom could come up for air as well, and when they do they have to be used if for no other reason to see what they are. Stan’s also going to have to get his veteran free agency signing right, and this has been a weakness of his. He looks to be a pretty good drafter, and his trades have worked out more often than they haven’t. But the guy he signs in the summer to just add a little something have generally not worked out. Rozsival is about the only one that did. The Hawks will need a piece or two from outside the organization, and they still won’t have enough financial flexibility to trade their way out of it if Stan bones it again. Summer too early. Hopefully Stan makes it one we can at least use to look forward to next year. Good God Man, What’s The Plan?